Pushing the limits of mobile development. Devmob began life in 2009 as NZiDev, a bar camp for mobile developers and hosted by Jade Software. Jade hired Nathan Torkington to facilitate the Bar Camp, eventually rebranding the event as Devmob and handing it over entirely to Gnat Ltd. Devmob is still the only Bar Camp Unconference specifically for mobile development and developers. Devmob 2013, held in Dunedin, was a huge success. 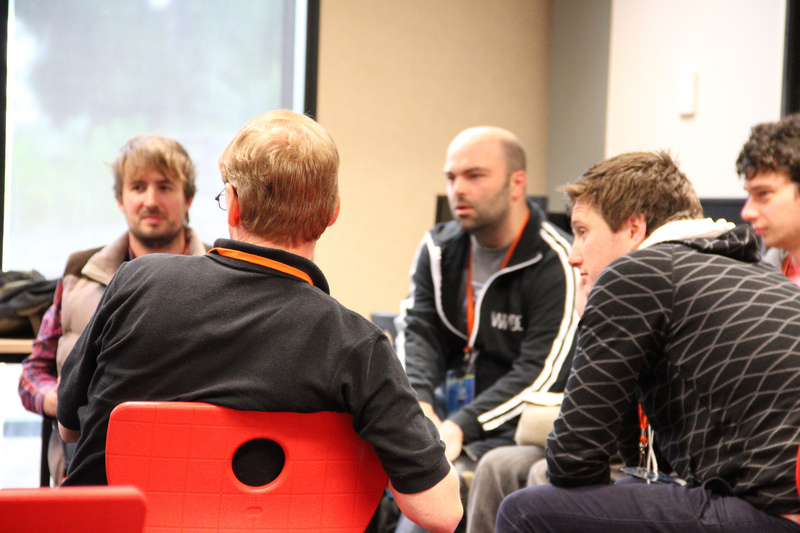 We saw over 100 of New Zealand’s best developers join together and share ideas and knowledge. Devmob welcomes cross-platform and cross-discipline developers, designers, and entrepreneurs from all over New Zealand. Devmob is New Zealand’s only cross platform Bar Camp for mobile developers. Devmob 2015 is scheduled for December 5th and 6th at Hobsonville Point Secondary School on Auckland’s North Shore. Registrations open September 1st.